We had to rush to be there on time and it was worth the effort! Tasty and healthy dishes are served buffet style together with a glass of good wine. It really was a treat! 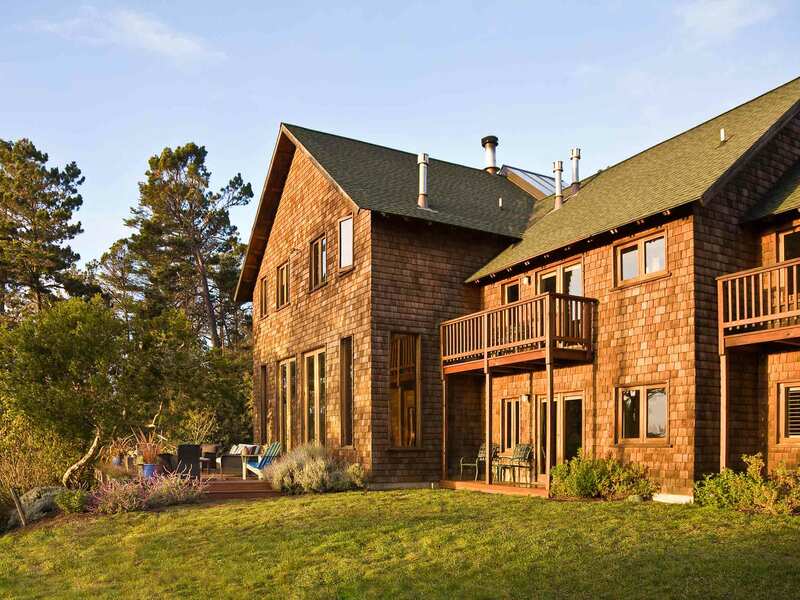 The inn is located near the cute town of Mendocino overlooking the ocean. There are 12 rooms to choose from. As we are a family of three we decided for the Meadowview Suite. This accommodation is the most spacious one and provides of a king and a queen bed. It is well kept and there are a convenient couch together with two comfortable leather club chairs, a nice fireplace and a large TV above it. The perfect place to watch a DVD from the inn’s comprehensive collection what we did as we had an early dinner. The breakfast is a good as the dinner, the dishes are cooked to order and freshly squeezed orange is served, lovely! The meals are served in the central common room with a beautiful fireplace and huge windows looking out at the Pacific. The staff is very welcoming and eager to please. It was really a memorable experience to spend a night in the Brewery Gulch Inn. Having said that you have to be aware that staying there is quite pricey but it’s worth the money. We would go back in a heartbeat!